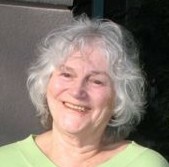 DORIS MARANDA , M.A. Humanistic Psychology, is a Continuum teacher and has been studying and training with Emilie Conrad, founder of Continuum and Susan Harper of Continuum Montage, since 1989. Continuum is at the same time a philosophical, scientific, artistic, musical, poetic and spiritual concept, a cosmology, and an advanced state of consciousness. When applied to our affairs, Continuum leads us naturally to a saner and happier world. In other words, Continuum as an experience is a direct involvement in the harmony and congruence of our inner and outer realities. It enables us to live the real lives of our bodies. WHAT IS MOVEMENT? – We live in a world of movement. What we commonly call a “body” is movement that has stabilized in order to function in a particular environment, in our case…Planet Earth. Science tells us that we are a world of movement, that we are moving and changing all the time. Even objects that we think of as static, like rocks and mountains are all “moving” with various rhythms & frequencies. Movement has many aspects, for example: the movement of thought, the movement of sensation, the movement of language, the movement of imagination, and the movement of emotions. In movement, there is no time, no past, present or future, no separation between body, mind, or spirit, nor is there a fixed shape or form We take on different forms and then the forms dissolve into the stream of life, to be reformed in different configurations. There is a movement between the richness of our inner life and our outer life where we engage with all that is.